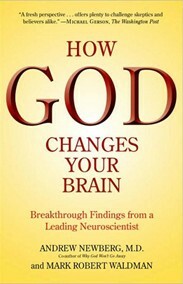 How God Changes Your Brain – This book explains all about how you benefit your brain through meditation and connecting to a higher power. Whether it be nature, the force, Jesus, Buddha, etc. This book will totally get you excited to meditate deeply. The Seven Spiritual Laws of Success – This book isn’t as meditation focused, but more on getting your life and career inline spiritually. It’s written by Deepak Chopra and I love that guy. Great tips on blending your spiritual life into career and success. Conquest of Mind – This book is crucial for a realistic view on what meditation does for you. It focuses on how important mediation is for the rest of your day, and not on what you will experience during your meditation. It also covers bringing meditation and spirituality into a career business setting. Lots of stuff! So worth reading.